From the 20th till 23rd of February 2014, 6 Level 2 students in teams of two represented PERMATApintar National Gifted Centre in Lim Kok Wing International Debating Championship (LIDC). We were accompanied by Madam Diyanah. After 6 preliminary rounds, two of our teams (PPPN 1 and PPPN 2) broke to the Pre-Octo finals. We debated on the motion, THBT democratic elections should be a condition to receiving developmental aid. Team PPPN 2 made it to the Octo Finals and had to debate on the motion, THW make poverty a mitigating factor. In the quarter finals, team PPPN 2 debated against SMK Sri Permata, Sekolah Sultan Alam Shah and KolejTuankuJaafar on the motion, THBT governments should use subliminal messaging to nudge citizens into making socially responsible choices. We were placed third in the round and did not proceed to the semi-finals. However, all six of us had learnt a lot throughout the tournament and gained new experiences in tackling various motions. We would like to thank the administrators for allowing us to go for this tournament. We would also like to thank Madam Diyanah for accompanying us. We hope to join other tournaments in the future and build a debating community in PERMATApintar. On 27th April 2014, the Preliminary State Challenge for RHB New Straits Time National Spell-It-Right Challenge was held at Dewan Serba Guna, Politeknik Sultan Salahuddin Abdul Aziz Shah, Shah Alam. The purpose of the Preliminary State Challenge is to select the top 100 spellers to participate in the RHB New Straits Times Spell-It-Right State Challenge. The Spell-It-Right Challenge aims at giving students an opportunity to compete with others so that they are able to master the spelling skills. It also serves to boosts students’ confidence in using the English Language besides producing students who are articulate in the English Language. 18 students from Pusat PERMATApintar Negara participated in the competition. There were 16 students in the Secondary School Level and 2 students in the Primary School Level. The students who participated in the Secondary School Level were Abul Munzeer bin Mohamad Isa, Adam Muhammad bin Ahmad Azhar, Ahmad Mu’az bin Mazlan, Ahmad Zuhair bin Zakaria, Cosmartin Alistair Anak Cosmas Bujing, Grace Chai Yu Xuan, Isaac Mok Kai Xiang, Kamini a/p Sivajothy, Leah Poi Jia Yuen, Muhammad Aniq Najmi bin Ahmad, Muhammad Sharafii bin Faidzal Adlee, Murthadza bin Aznam. 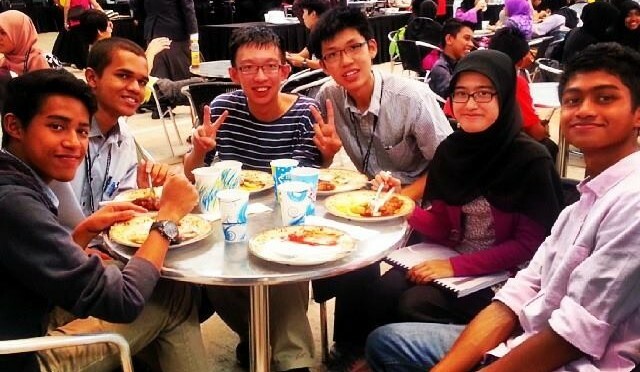 Nik Mohammad Khalid bin Nik Ahmad Sarde, Ryan Owen anak Sigat, Siti Najihah binti Mohamad Sharif and Solehah binti Salim. The two students from the Primary School Level were Ong Jing Kai and Zoey Zeffrey Azman. We left the Pusat PERMATApintar Negara by bus at about 9 in the morning and arrived at our destination at about 10. A lot of students from different schools all over the state of Selangor were already there. We alighted from the bus and as soon as we gathered, we headed towards the registration counter to register our names for the preliminaries. The receptionists then stamped the back of our hands as proof of register. We had to wait a while for the competition to start. At about 11 o’clock, the Master of Ceremony or better known as the emcee announced that the competition would start and we were allowed to enter the hall. We had to line up patiently and at the hall’s entrance and showed our stamped hand before they could let us in. When we were in the hall, we walked towards the rows of tables and chairs. We were allowed to sit anywhere we wanted. However, some of us had to change to different seats to make the seating more systematic. When all of us were comfortably seated, the Master of Ceremony greeted and welcomed us to the 7th RHB New Straits Times National Spell-It-Right Challenge 2014 Preliminary State Challenge. Before we started the preliminaries, we were given a short brief about the procedures and instructions. There was also a short demonstration of how the words would be given. Then, 30 words were given. After all the words had been listed, we were allowed to exit the hall. At the exit, some of the staff handed out the certificate of participation to all the participants. Cosmartin Alistair anak Cosmas Bujing. The selected students will represent Pusat PERMATApintar Negara in the RHB New Straits Times National Spell-It-Right Challenge 2014 Top-100 State Challenge on the 22nd June 2014, at Tropicana City Mall, Petaling Jaya, Selangor. 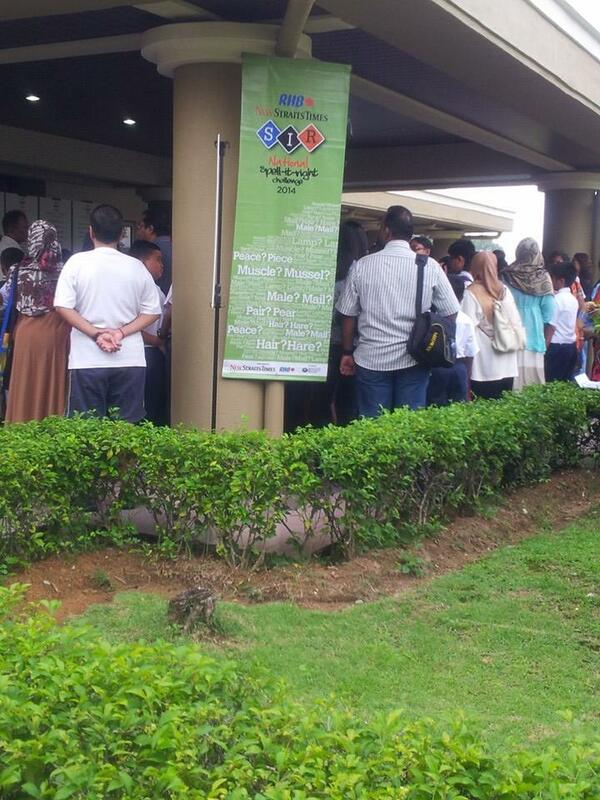 upportive parents and teachers waiting to register their children / students at the entrance of Dewan Serbaguna, Politeknik Sultan Salahuddin Abdul Aziz Shah, Shah Alam. We hope that the 5 students who are selected among 100 top spellers in Selangor will do PERMATApintar proud at the state level. 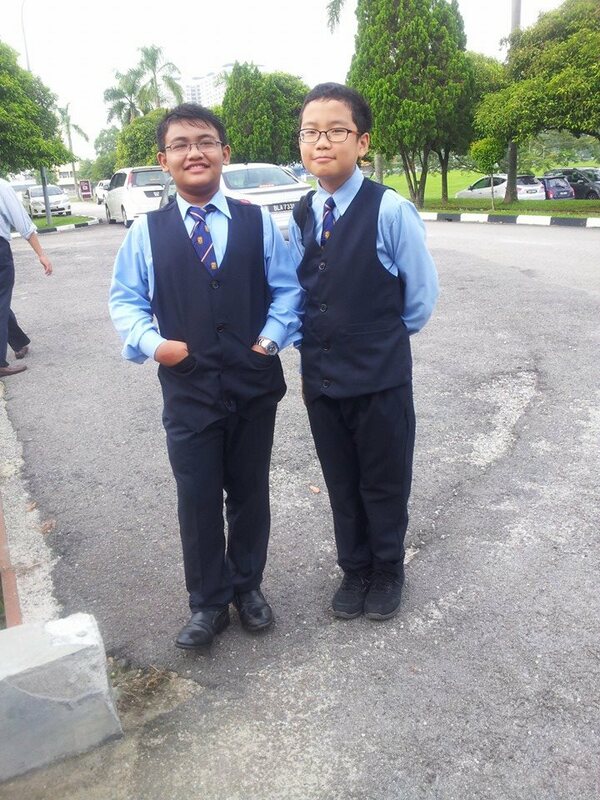 On 15 April 2014, a district level public speaking competition was held in SMK Pandan Mewah, Puchong. This competition was organized by the Jabatan Pendidikan Negeri Selangor. PERMATApintar was represented by Aina Azra Nasharuddin, from Foundation 1, Cosmartin Allistair anak Bujang and the present writer, Quite a large number of Level 1 students came to watch the competition. This was done so they could gain valuable knowledge and experience regarding public speaking. Also it was hoped that they would be able to participate next year. I was happy to be selected after a few practice sessions with Madam Diana. I had to fight for my spot against Cosmartin who is more experienced than me. After thinking and reading on several topics, I decided to talk about dogs. It is an odd topic as normally people would choose to talk about current issues, but it does not really matter what topic is chosen as long as it gives new knowledge to the listeners. It took me another few more days to finish the script as I had a ton of assignments to do as well. My friends were quite helpful during these moments and I am indebted to them. My instructor, Madam Diana and my friend Cosmartin Allistair helped me a lot when I was memorizing the speech and they gave me invaluable tips on speaking. Now, let’s go to the day of the competition, shall we? First of all, I want to explain about the rules. The rules here are slightly different from the rules for same competition in my hometown, Penang. The main difference here is that all the contestants are separated into several groups and the three best speakers are selected from each group and are pitted against each other. The reason for doing this is because of the large number of schools in our district and putting everybody in one large group is just a waste of time. The other rules are the usual ones. In my group there were eight other contestants and in my opinion, everybody was very talented. It was quite an intense battle. We were given a time limit of six minutes to deliver our prepared speech and a limit of two minutes was given for impromptu speech. The title of the impromptu speech this time was ‘food’. But in the end, I didn’t qualify for the next round, though it was a bit disappointing, I was glad that I had the chance to participate in this competition as I had learned valuable knowledge about public speaking techniques. If given the chance, I would like to participate in this competition again. 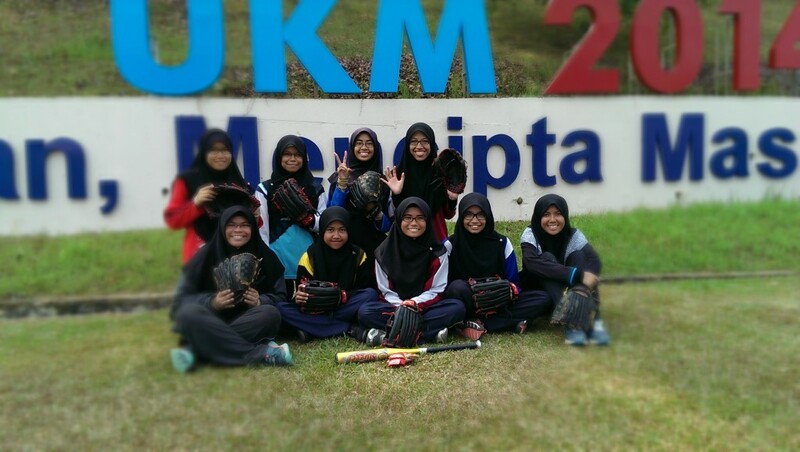 On 14th April 2014, PERMATApintar™ National Gifted Centre has sent a softball team, BITARA to participate in Softball Championship at Sekolah Kebangsaan Sungai Kantan. The tournament was organized by Majlis Sukan-Sukan Sekolah Daerah (MSSD) Hulu Langat. BITARA team consists of a team of 14 female students and a team of 17 male students. We were accompanied by Miss Rezawana binti Wan Daud, our coach. The tournament started on Monday with the match for female category. Our team competed with the teams from SMK Perimbun and SMK Engku Husin. The matches were very tight with our BITARA team losing 11-8 and 6-9 respectively. On Wednesday, the tournament continued with the match for male category. For the first match, BITARA softball team competed against SMK Teknik Vokasional Kajang. 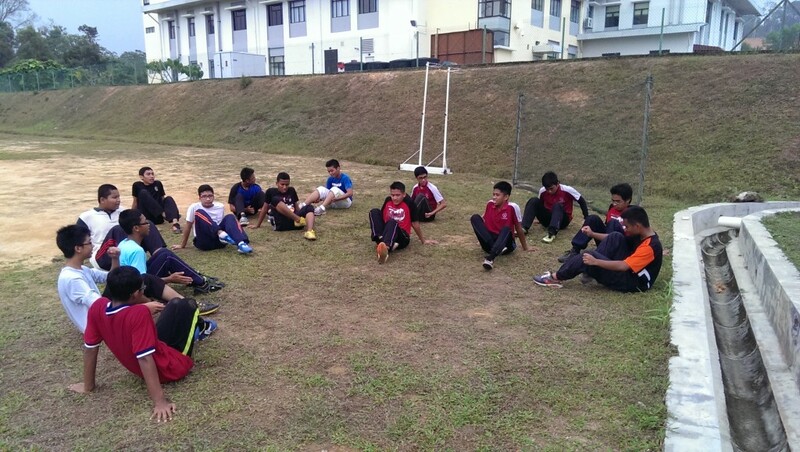 Fortunately, we were qualified to the quarter final and met against SMK Sultan Abdul Aziz Shah. Luckily, we won the match with the score of 5-4. 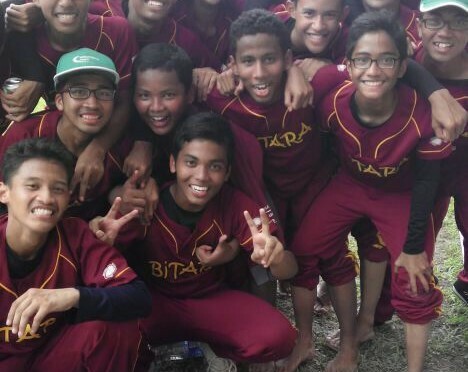 The victory made it possible for us to compete in the semi-final against SMK Jalan Empat, which is one of the strongest softball team. The most anticipating and thrilling game ended up with BITARA team lost to SMK Jalan Empat by 7-9. This indicates that BITARA team won bronze medal. A closing ceremony was held in the evening and was attended by the headmistress of SK Sungai Kantan and other respective teachers. We went back to school feeling satisfied and with hope to participate in the championship again next year to win the gold medal. In a nutshell, our team has showed great support and good sportsmanship by giving motivation to each other. We all have practiced hard during the training period and gave our best during the tournament. The achievement by our team in this tournament is a proof that gifted students are holistic students who can excel well in both academic and co-curricular aspects.